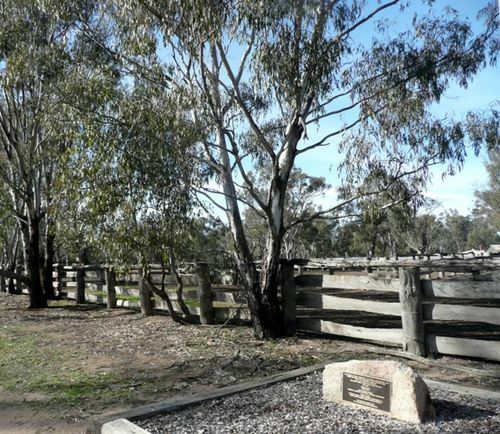 The monument commemorates the families and individuals who mustered cattle, and those who cared for the Barmah Forest. This memorial stone is dedicated to the families and individuals who toiled with pride in the mustering of cattle at these yards and to all those who cared for "the mighty Barmah Forest we all know and love " 1879 - 2009. Original Committee W. Schier Pres/Tres., Charles Jackson, Henry Kinsey Sec., Enoch Trickey, Andrew Lindsay, Thomas Balderson.